What are the advantages of becoming a Puppy School tutor? All tutors and associate tutors are assigned a Regional Manager who will guide and support them throughout their correspondence course, set up, and subsequently during any issues encountered when classes begin. Regional managers are experienced tutors themselves and are always on hand for any further advice and guidance. Regional teams meet often throughout the year for fun social events as well as to grouping together for exciting local positive dog training workshops and seminars. Further information is available to help with smooth running of classes via our intranet platform accessible only to Puppy School tutors and associate tutors. All the files and information needed to run puppy training classes will be found there, as well as ‘Puppypedia’, a collection of useful answers on a whole range of subjects relevant to puppy training from our tutors and associate tutors. In addition, a private and dedicated Facebook forum is a vibrant and informative way to keep up to date with what’s going on in the puppy training world, and place to seek and read advice on a host of questions that come up in the course of people’s work within Puppy School. 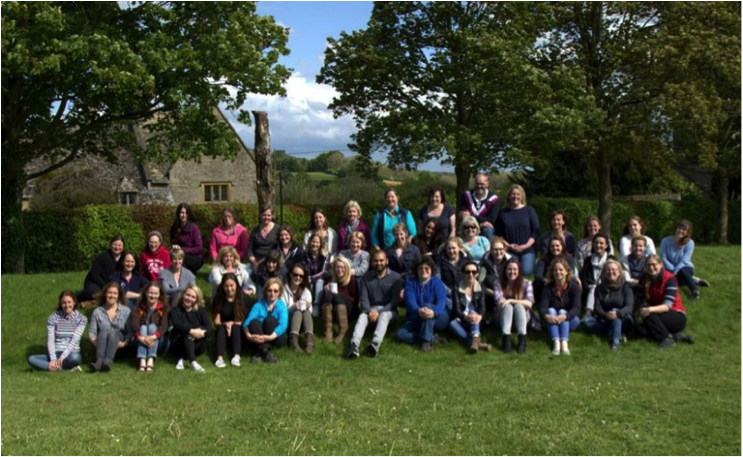 The collective wisdom of up to a 150 people who are deeply involved in the world of dog training and behaviour is a great resource, as well as being a fun, friendly place to gather support, ask questions, celebrate successes or post videos and photos. We also have two sister private forums, Puppy School Fun Tricks Forum and the Puppy School Book Club for those deeply interested in extra fun training or discussing behaviour and training books. As part of the Puppy School tutor training, tutors are required to attend a three-day practical handling course at a rescue shelter. During the time at the shelter, tutors will teach the rescue dogs exercises from the syllabus and also spend some time training their peers - this ensures that tutors can successfully train both owners and dogs before venturing into the world of running puppy training classes (it also helps those dogs we work with to get a home too). Although this is a compulsory element of the Puppy School tutor training, it is an exclusive opportunity to work under the supervision of experienced Puppy School tutors to gain valuable training and behaviour experience. “I love all the workshops and training events that I can attend within Puppy School, there's always something new to sign up to and get involved in. We are invited to attend a free 3-day behaviour course twice a year for the first three years of running classes and these are so helpful when you're just getting started in the business. In an industry like dog training, it's important to keep up to date with what is going on, and Puppy School helps me to do this." All established tutors are offered two free three-day animal behaviour courses per year for the first three years. These courses are taught by Nicole Harris, BA (Hons), PGDip CABC, Lauren Watts, BSc (Hons) MRes and Gwen Bailey BSc (Hons), who are all members of the Association of Pet Behaviour Councillors (APBC) and ABTC Clinical Behaviourists. Working with the latest science-based knowledge, our behavioural courses cover all subjects necessary to provide tutors with a comprehensive knowledge for solving behaviour problems in puppies. Puppy School runs at least two CPD courses each year, exclusively for tutors and associate tutors, where external speakers or internal speakers with a specialist knowledge are invited to give talks or workshops on their speciality. The Puppy School conference (offered at a heavily subsidised cost to tutors and associate tutors thanks to sponsorship from Natures Menu) is run every two years and is a fun-packed weekend event where we attend a range of workshops, try out new dog sports and have a chance to catch up with other tutors over a BBQ and drinks. It is a real family affair and it is always a much-anticipated event in the Puppy School diary. Our pet dogs are also very welcome to attend and often outnumber the people! Puppy School tutors and associate tutors have access to a national network of other tutors and we aim to regularly run events and workshops in your local area. These are great opportunities to meet like-minded people and learn new skills; many events allow you to bring along your own dog to take part in the training. Puppy School tutors are able to continue their training with us to become Puppy University tutors and teach the university syllabus. Puppy University is designed as a follow-on course and will tackle many of the training challenges that owners face with their puppies as they head towards adolescence, as well as further developing their training techniques and skills. Full training includes a week of practical handling at a rescue shelter. Puppy School is delighted to be recognised as a Practitioner Organisation for the Animal Behaviour and Training Council (ABTC). 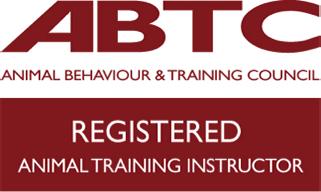 The ABTC is the regulatory body that represents animal trainers and animal behaviour therapists to both the public and to legislative bodies. It is the only animal welfare charity that is primarily concerned with protecting the psychological welfare of animals undergoing training and behaviour activities. Tutors and associate tutors who are actively running classes are able to take our assessment to join the ABTC register and become a recognised Animal Training Instructor. Puppy School tutors have exclusive trade accounts deals with Tug-E-Nuff in which tutors receive great trade prices as well as complimentary demonstrative toys for classes. Puppy School is also able to obtain benefits such as discount off events such as the Woof Conference, and other such educational events. Puppy School is delighted to be sponsored by Natures Menu, who have been creating 100% real wholesome food for pets for over 35 years. As a tutor in this partnership, you will be entitled to many fantastic benefits. 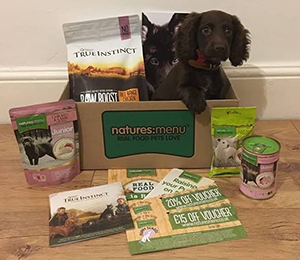 All Puppy School clients receive a Natures Menu Puppy Box sent direct to their door free of charge. This is a very generous offer as all goods are worth over £35.00! 1 x Puppy School Manual. 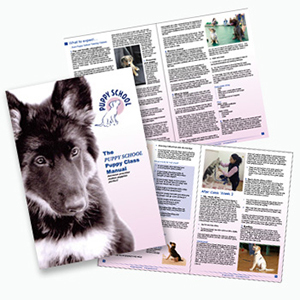 This manual is Puppy School’s official information for new owners and will tell your clients what to expect from our classes as well as giving extra information on training and what to practise after each class. With every £15 off voucher your client redeems, £5.00 worth of credit is awarded to your Natures Menu tutor account allowing you purchase sale stock or stock up on goodies for your own dog. On top of all this, Natures Menu will further support you as they allocate two packets of treats per puppy to give to your clients and to use in your classes. These benefits, both for tutors and clients are fantastic and will undoubtedly help to make your business an attractive option for new puppy owners.